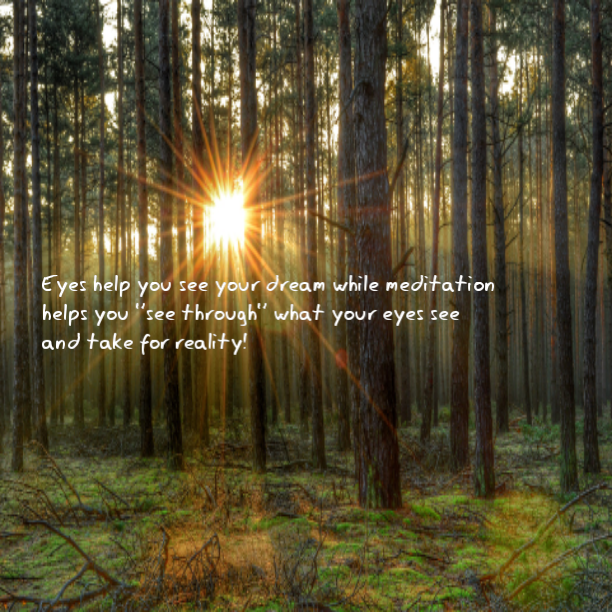 While your senses perceive a world, the origin of that dream world is your own thoughts! As you evolve to higher and expanded versions of understanding your reality through meditation and other means you will be able to “see through” things that you took to be real and solid and when you do that the things you took to be solid and real will start to fade out and into the background and vanish completely while you watch! Previous Post Clarity is an illusion! Next Post Awesome wisdom of yoga!